As the winter season approaches, today the City of Cleveland released details from its 2016-17 winter weather plan that outlined proactive measures in place ahead of any major snow fall event. 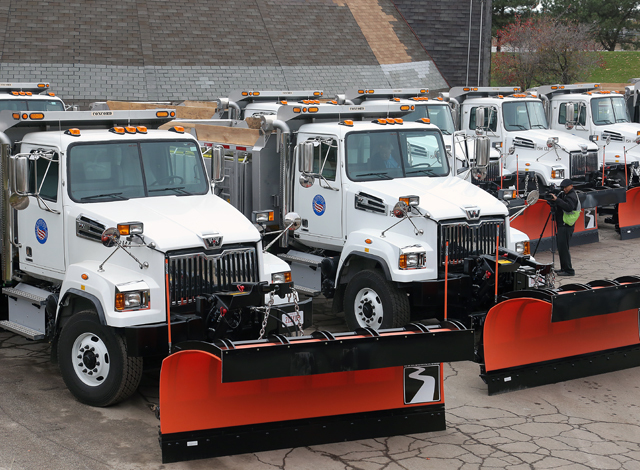 In addition to providing information on the plan, the city displayed some of its recently purchased snow removal vehicles that bolster the fleet. 57,241 tons of salt on hand and 23,000 gallons of liquid de-icer. During a snow and ice event, service is directed to the primary main/secondary thoroughfares. These routes will be serviced until the primaries are fair but passable allowing for service to the residential streets as soon as possible. About 8,000 residential streets are grouped into 292 subsections and snow removal vehicles move into these subsections after servicing the primary main/secondary thoroughfares. The city’s snow removal fleet can be deployed to service streets as needed during light snowfall or all streets during large scale snowfall events with goal of servicing all city streets 48-72 hours after the completion of the mains/secondaries.